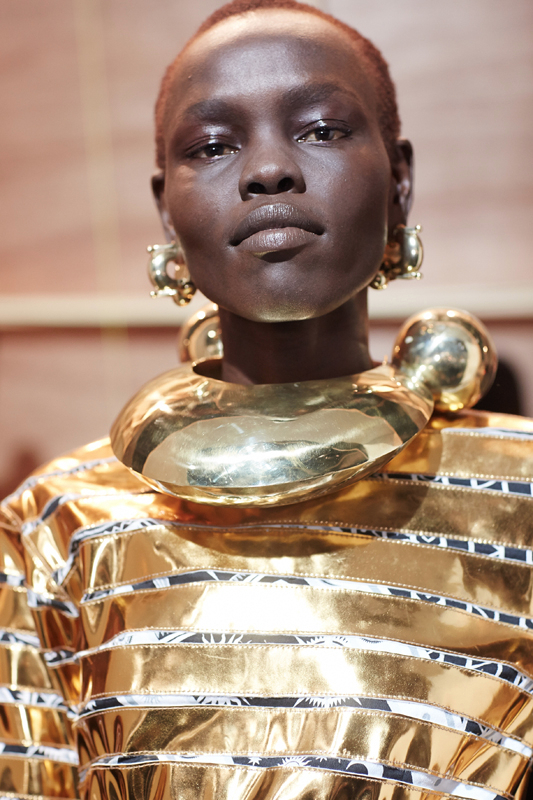 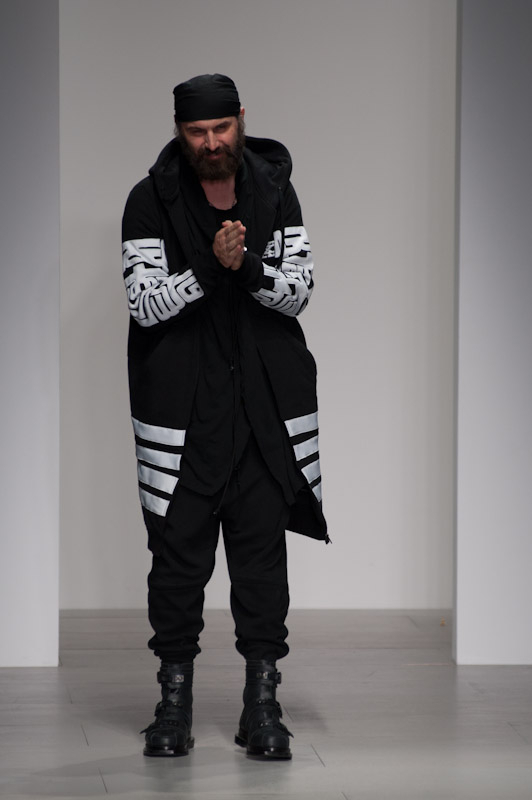 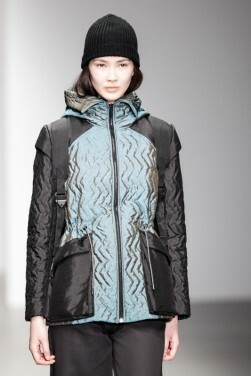 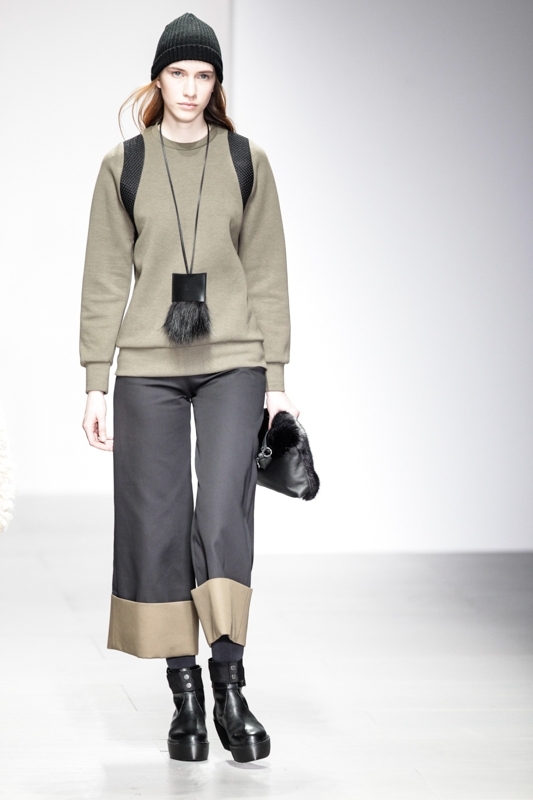 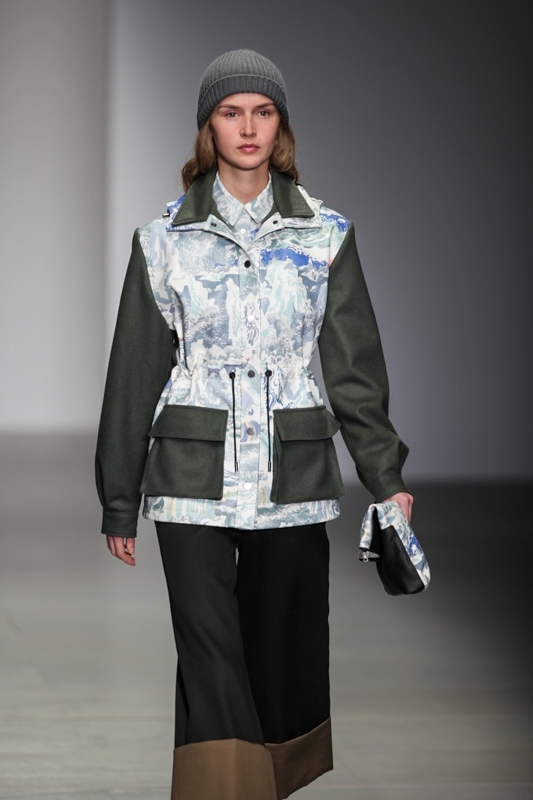 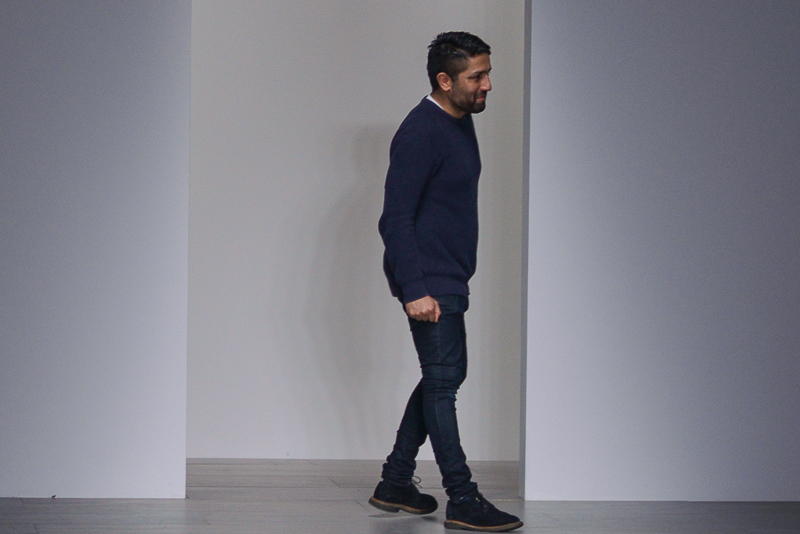 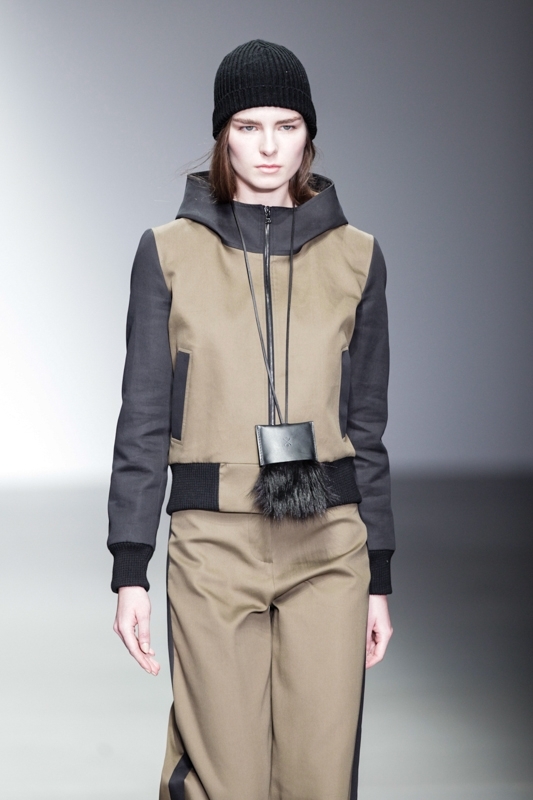 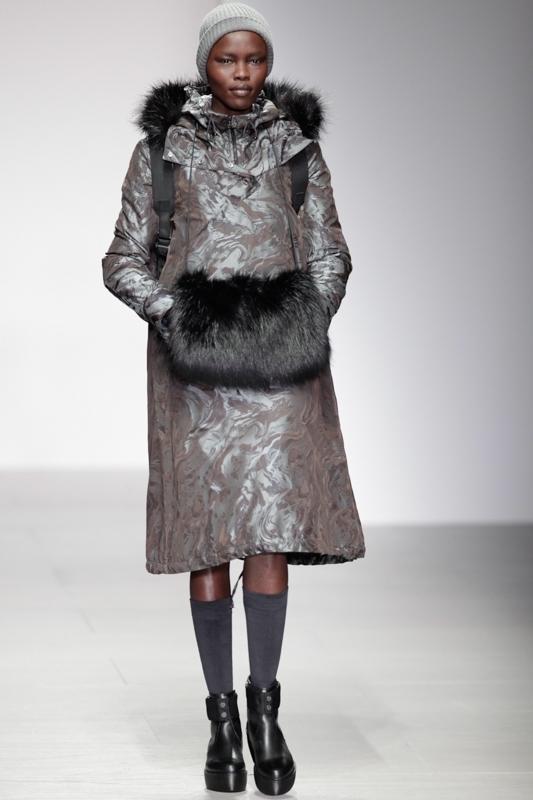 Christopher Raeburn went all-out for autumn/winter 2014. 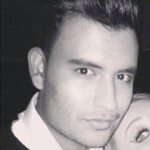 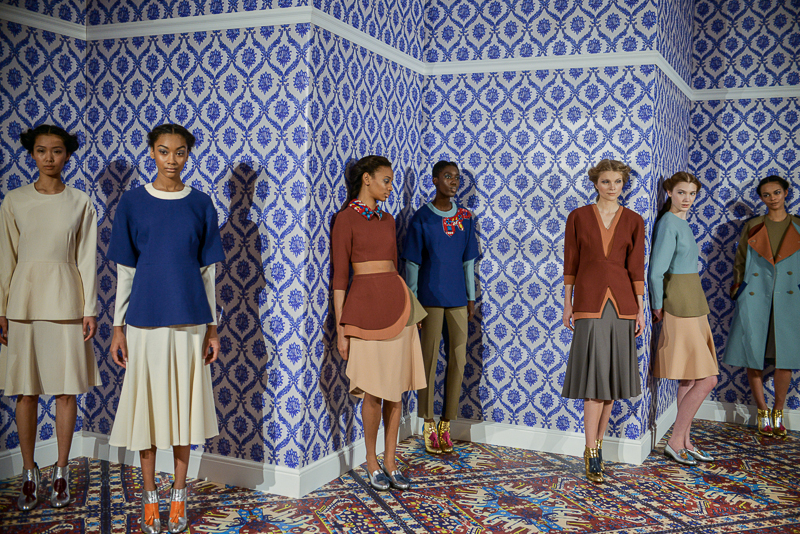 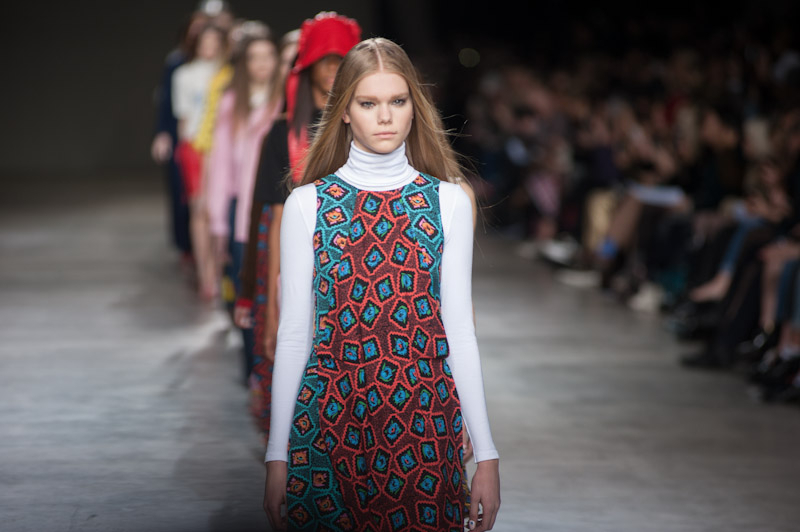 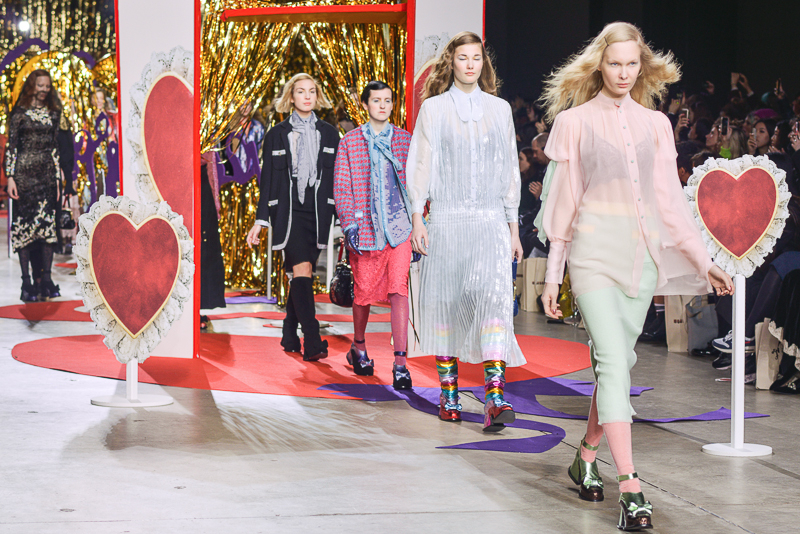 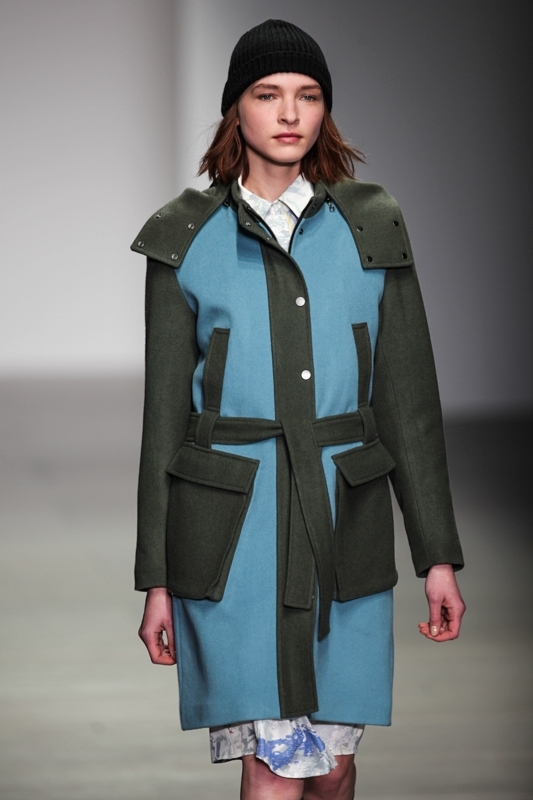 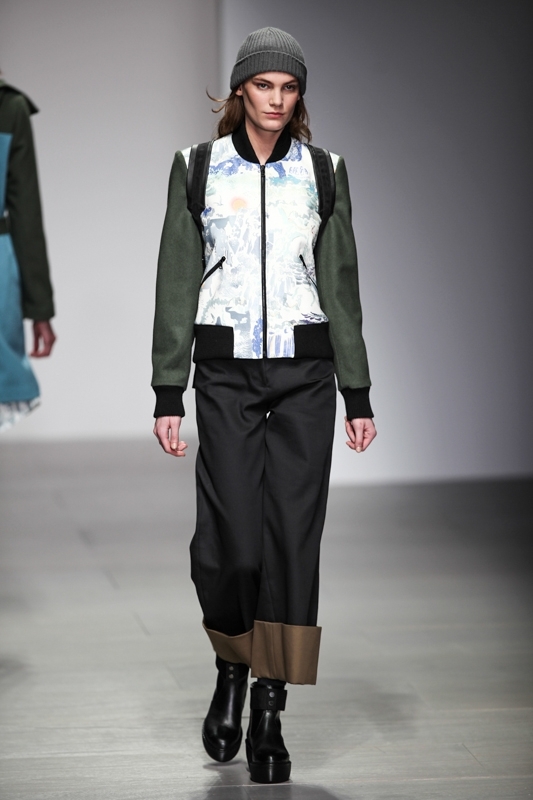 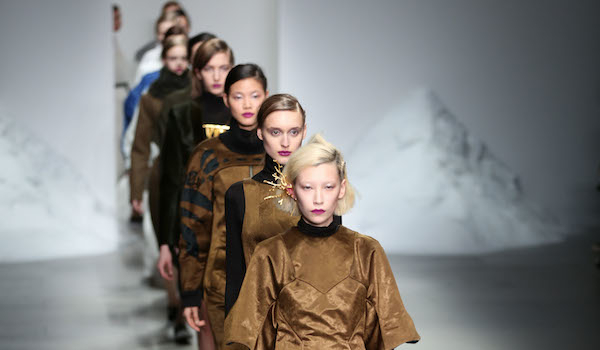 The show was perfect for the season as it celebrated warmth and winter-wear as opposed to “darker tones” for autumn. 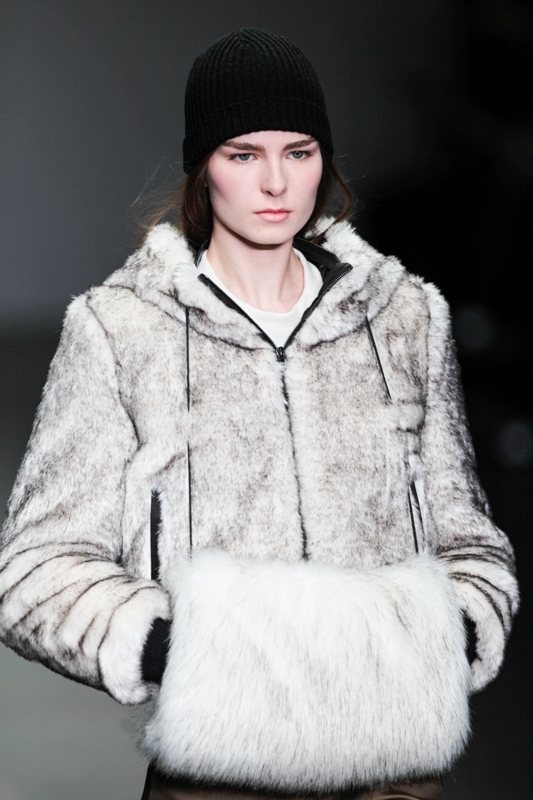 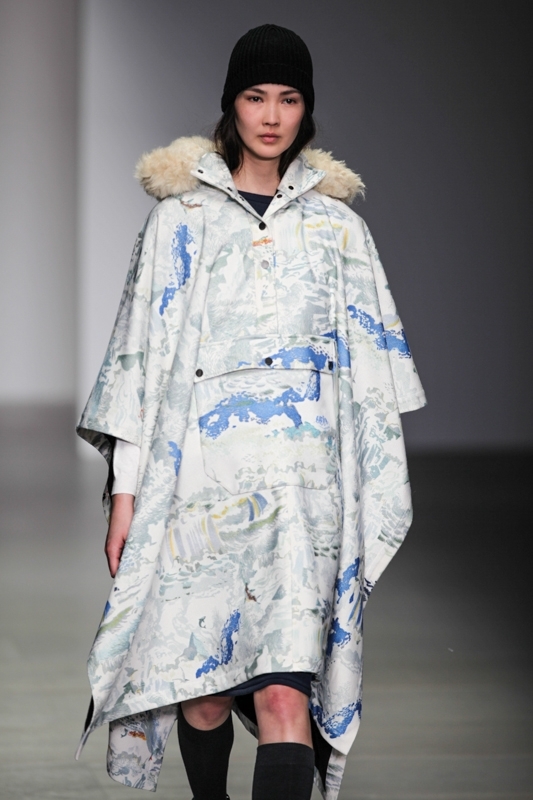 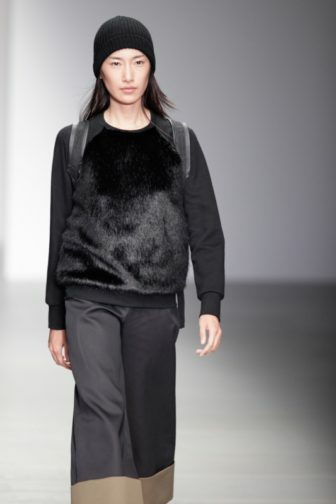 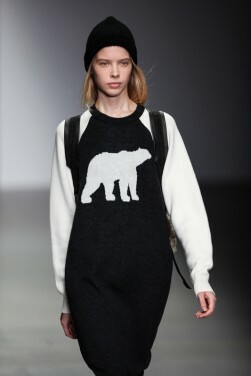 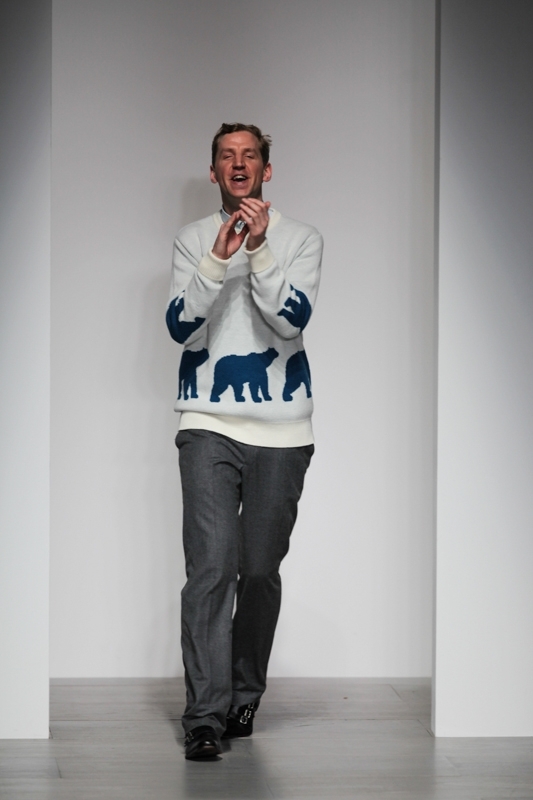 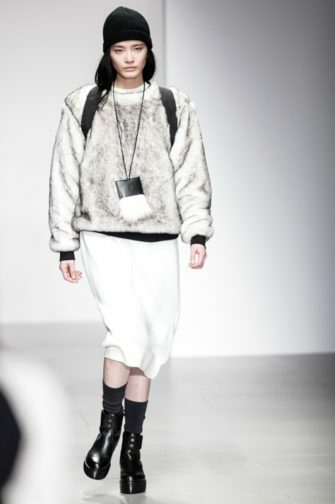 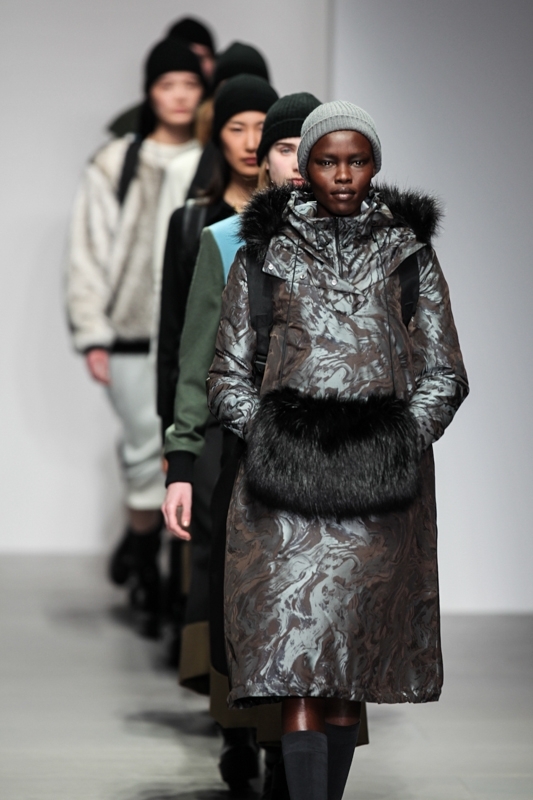 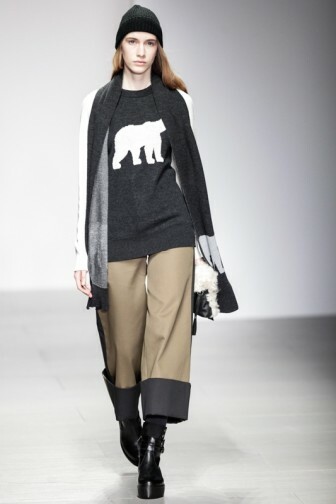 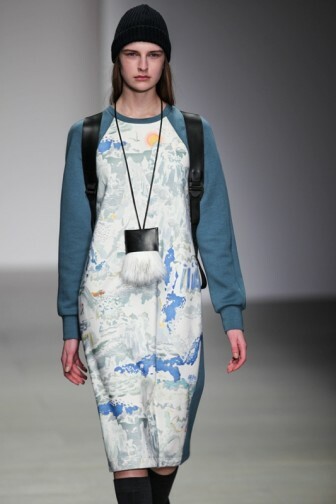 The polar bear was a key inspiration behind the collection with long, white fur coats and large gillets. The polar bear was also celebrated by having its silhouette printed on the sweatshirts. Wide-legged, short trousers were the statement piece of the collection; they were cut above the ankle and are very fashion forward. 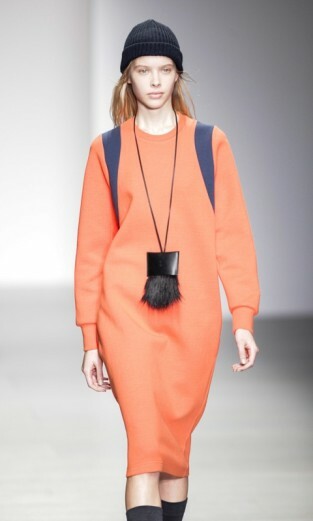 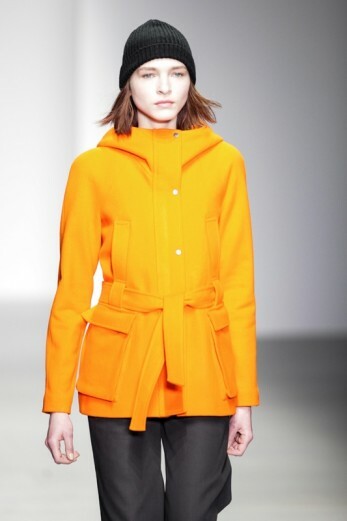 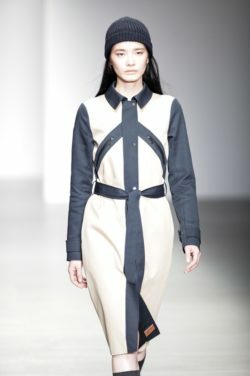 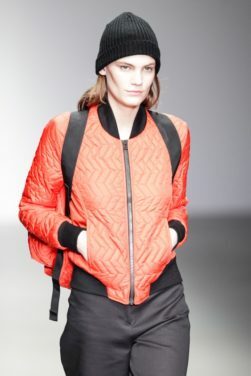 Christopher Raeburn wasn’t afraid of experimenting with colour in this collection as he debuted an electrifying orange jacket.